Do you have an inquisitive mind? Many people have never been exposed to performance art, but they are performance curious. Others have a preconceived notion that performance art is just about the cult of the artist’s personality, but the reality is that the majority of performance artists are trying to create a sincere connection and tell a truth about life or society that is too difficult to pinpoint with a singular form of communication. Try to think of it like poetry, a volume of emotion and meaning being injected into a snippet of language. Each witness might take a different view of what the artist is trying to communicate, but the experience often speaks volumes and keeps speaking long after the event has passed. Inquisitive folks are in luck because the Inverse Performance Art Festival will return for its second year from Thursday, March 30 through Saturday, April 1. Registration is required for each performance at inverseperformanceartfestival.org. This year’s festival will take place at several locations. The Faulkner Performing Arts Center at the University of Arkansas Fayetteville will host Ion Yamasaki, a Japanese artist who’s set to build wooden towers for a full work day. Yamasaki’s performance is participatory and child-friendly. Hector Canonge will also be at the Faulkner center on Thursday. A very active interdisciplinary artist from New York, Canonge has created diverse performances around the globe which challenge the “white box” and explore issues of identity, politics, gender roles and more through the use of many types of media technologies and performance. Thursday night will likely be an emotionally and intellectually challenging evening at Crystal Bridges Museum of American Art. Visual artist, composer, and musician Paul Rucker, who currently creates work focused on the Prison Industrial Complex and the social issues relating incarceration to slavery will perform, followed by Darryl Lauster, who performs as his alter-ego Josh Court, a Northern White Rhino Militia man. This dichotomy will no doubt challenge the audience’s perspectives. 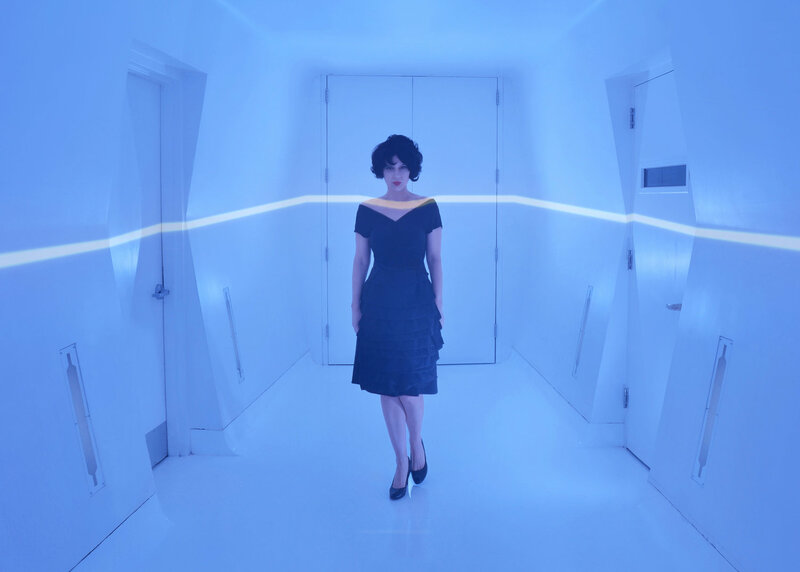 The third performer of Thursday evening’s lineup at Crystal Bridges is Jill Guyon, a New York-based artist who explores the female psyche through a combination of video, movement, sound, silence, and projection. Friday is set to be packed with performances in Bentonville. Foxhole will host a live feed of Santa Barbara-based Fearbook Live players Ally Bortolazzo, Elizabeth Folk, Marc Bobro and Charles Starr from 12-2 p.m. 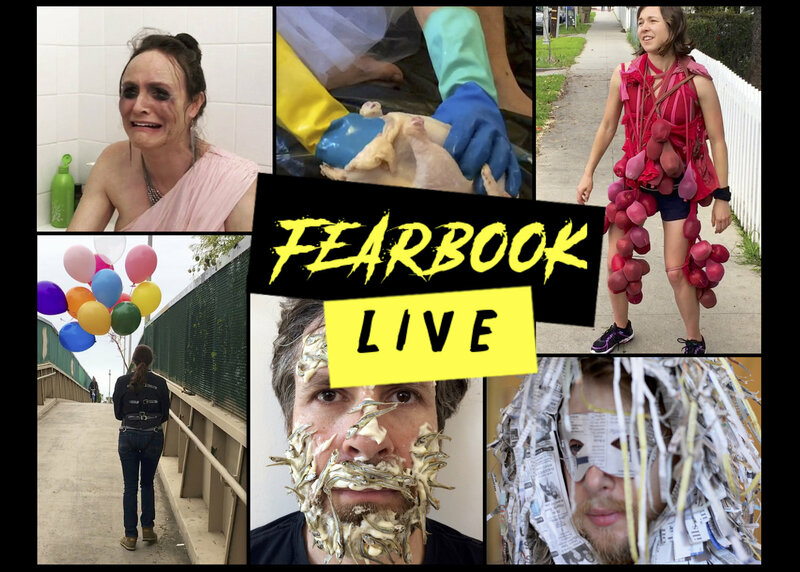 The group’s performance is based on audience choices which can be made for 24 hours leading up to the performance at facebook.com/fearbooklive. This wild lunchtime art adventure game show is sure to be a good time. After the Fearbook performance the festivities move to the 21c Museum Hotel where five performances are scheduled between 4-10 p.m. First up is a live stream video from Hong Kong by Patrick Ford, an artist whose work currently focuses on the journey to and from the times we signify as vacation. After that, Laurence Myers Reese and Jessica Borusky will host performances related to gender identity, then at 6 p.m., Reese will performing for the first time as Laurence. His performance was as Laura last year, making this performance perhaps much more impactful to those who attended the inaugural festival. At 6:30 p.m. Borusky will focus on queer feminist perspectives through a traumatic humor lens. 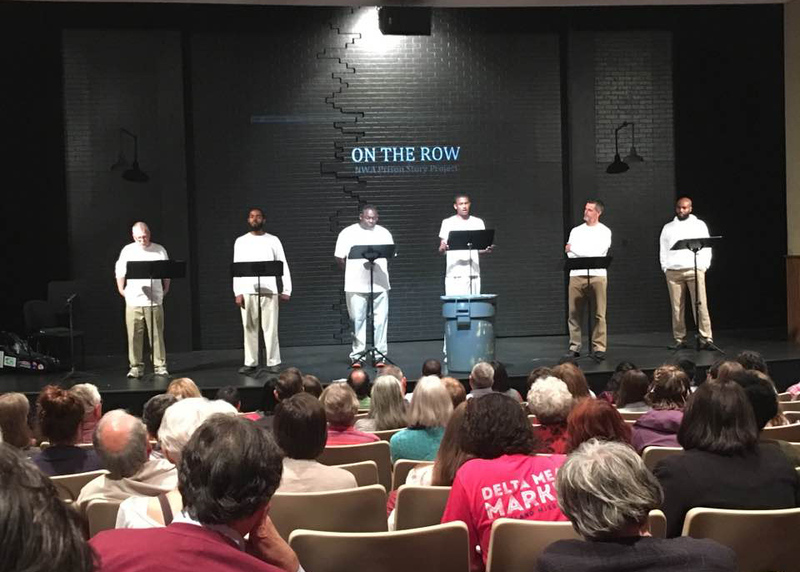 A Prison Story Project performance is next at 7:30 p.m. with stories based on interviews and work by 10 inmates on Arkansas’ death row. The narratives are woven into a poetic composition performed by six actors, with a rumored surprise element at this performance. Flounder Lee will wrap up the evening with a live stream video from Dubai starting at 9 p.m. The stream will investigate aesthetic and scientific aspects of the Arabian desert. Saturday will be packed at the University of Arkansas Art & Design District. Eight performances of various lengths will take place from 10 a.m. to 4 p.m.
John Chiaramonte’s durational six-hour performance takes place in three movements and explores themes such as aging and ritual. Amber Eggleton, a University of Arkansas post baccalaureate, will perform a piece about romanticized notions of others. New York-based performance artist Angeli is sure to be memorable. I’ll leave it at that. Justin Zachary’s durational piece will focus on communication, specifically exploring the relationship of his mother and father. Esther Neff is the founder of Panoply Performance Laboratory. Her work explores ideation and creation. Hand-made aesthetic environments are often a part of her work. Erin and Jared, a Shanghai-based team, will live stream for a second year. Their action filled experimental show was packed in 2016 and will no doubt be a popular event this year. Other work will include Lorene Bouboushian & Kaia Gilje’s deconstruction of performance, and Tom Maio’s look at the myth of Dracula and the transformation of human to vampire. After a marathon at the design district folks can head over to Feast Gallery at 7 p.m. for a performance by Lebanese-American dancer and visual artist Sharon Mansur, followed by light refreshments. Jessica DeBari, owner of DeBari Home, is an artist, custom finisher, designer, and general believer in the philosophy of aesthetics.